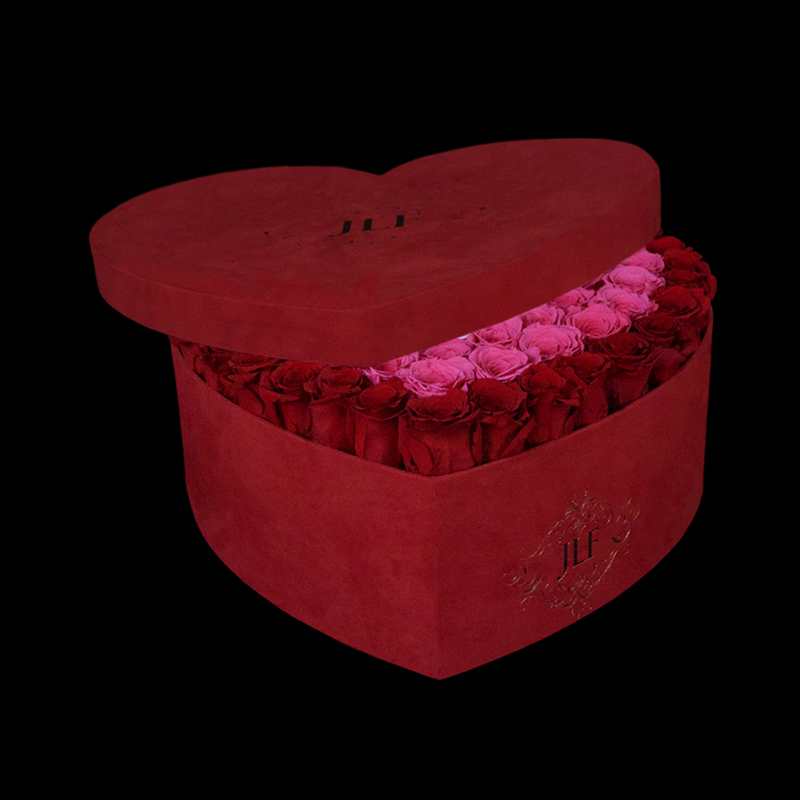 The magnificent JLF Everlasting Red, Pink And Light Pink Roses In Heart Box signify the passing of time and how true love will always remain “Everlasting.” Show love and appreciation with the JLF iconic boxed preserved roses that last a year with proper care. At JLF flower boutique you will enter the World of Preserved Flowers. 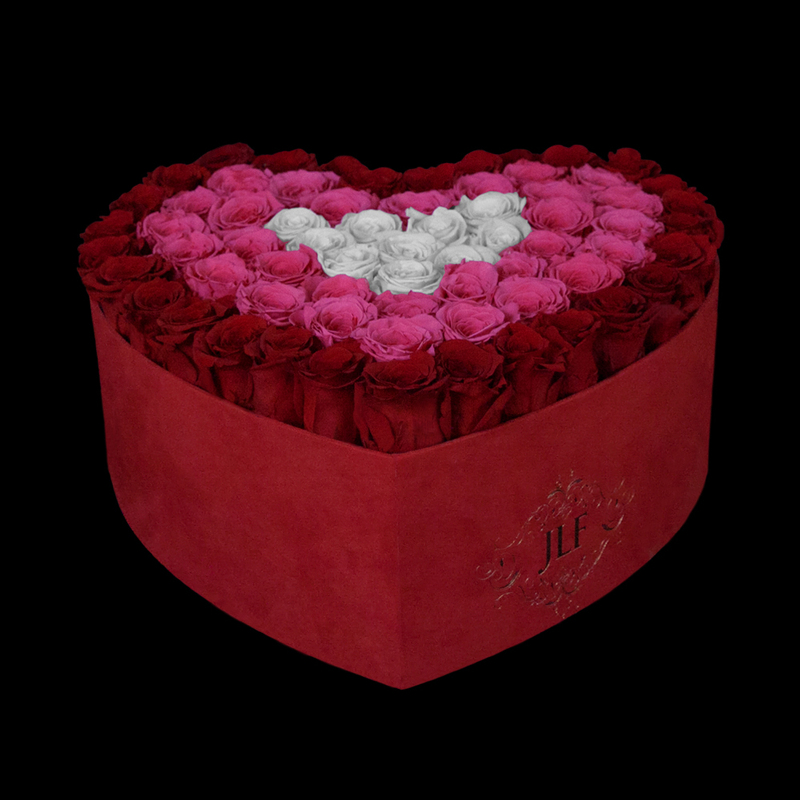 The hat box in the image can carry up to 75 roses depending on the rose size.